The*Friday the 13th Part 4 Jason Voorhees 1/4 Scale Figure is available now from the NECA eBay Store and the NECA Amazon Store. *It includes weapons, interchangeable hands, two swappable head sculpts and more. Jason is priced at $124.oo plus shipping. Look for the figure to hit stores in September. Jason returns to NECA’s quarter scale action figure line! This massive, all new 18” figure is based on his appearance in Friday the 13 Part 4: The Final Chapter and features plenty of gruesome detail. You can even recreate his (not quite) fatal wound by sliding his machete into &#187; Continue Reading. 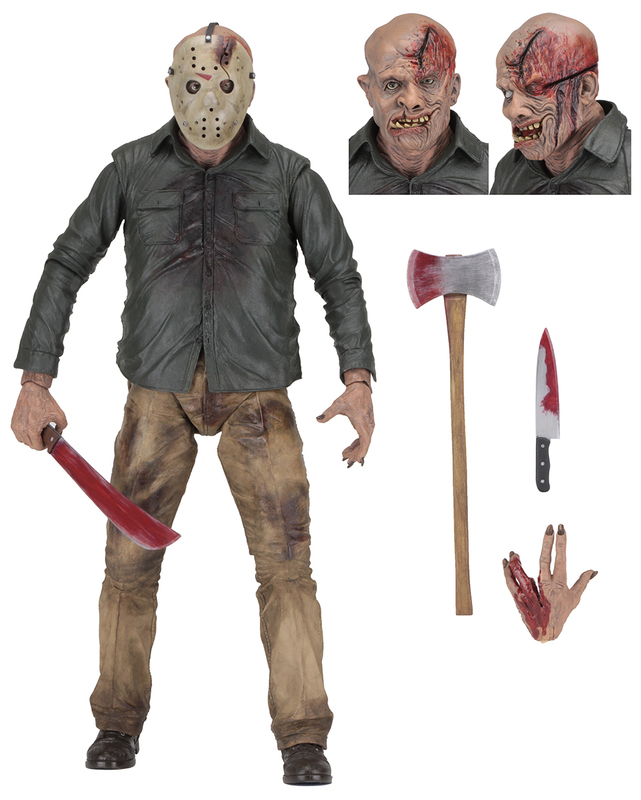 The post NECA Friday the 13th Part 4 Jason Voorhees 1/4 Scale Figure Available Now appeared first on The Toyark - News.